NEW! Handmade in Australia from organic hemp milk, this hemp soap is the definition of luxury. Blended with hemp oil, and hemp powder using traditional earth-friendly methods it nourishes the skin with omega-3, 6 and 9 oils while cleaning and softening it. Suitable for all skin types including sensitive or irritated skin. Available in Unscented or Australian Lemon Myrtle. 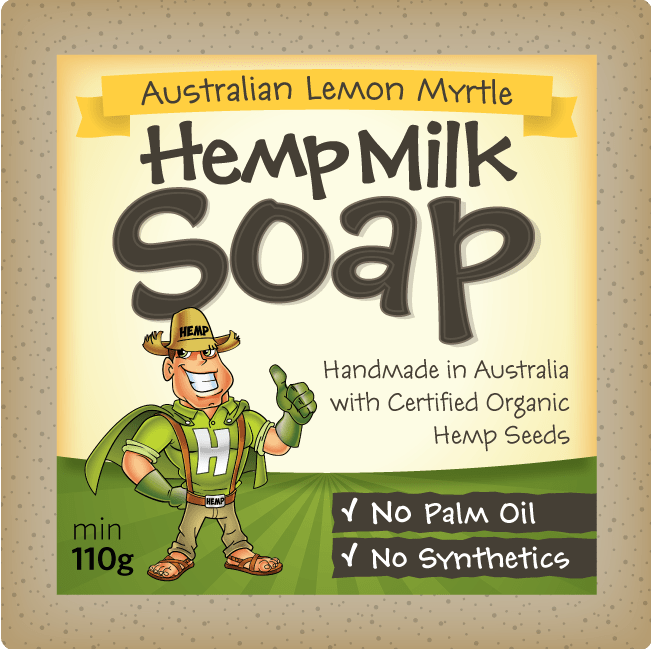 You can make your own hemp milk soap by making hemp milk from Hemp Seeds. If you love our hemp soap you will no doubt love Sativa Skincare's Hemp Hand Cream and the rest of their hemp-based organic skincare products.